The future of success is held in the hands of our kids. What we do today as parents can inspire entrepreneurial kids. There are so many technology items in front of our kids today and they are watching our every move. Whether you realize it or not, kids are looking to their parents for inspiration and creative ideas to learn how to make their own cash. As your kids get older, see the cash you earn from home and find that desire to be their own boss, you can work to raise entrepreneurial kids simply by being that leader that they follow into a positive, successful future as an entrepreneur in adult years. My wife and I are doing it now, and we wouldn’t have it any other way. The benefits far outweigh the risks and negatives. We would love it for our kids to have that same spirit! Let go of having to hover over your kids and make their mistakes all better. You see, entrepreneurs learn the hard way to fail and then climb back up. From a young age you can start to implement the theory of learning from failures. This concept will go a long way in encouraging a mindset that leads to entrepreneurial kids. This is an easy concept to teach as a parent, simply learn to ask your child to try again rather than stepping in to finish or do a task for them. With the school systems starting to diminish the kids ability to be more creative with projects, some students have even lost points due to being too creative, it’s time to be all about creativity at home. Let go of what the school allows or doesn’t’ allow and be certain that creativity is always encouraged in your household. If your kids have an idea that you are not so sure will go well, let them have at it, again they will learn from failure and perhaps use their creativity to get out of a tough spot. This will lead to raising entrepreneurial kids without much effort. The best entrepreneurs have good discipline. Teach discipline to kids is all about helping them learn how to set goals and work towards achieving them. Whether it’s helping them come up with a plan to earn money for a desired toy or teaching them how to save money, these are goals that kids can work to achieve. Board games like Monopoly are a great way to work with goals too! 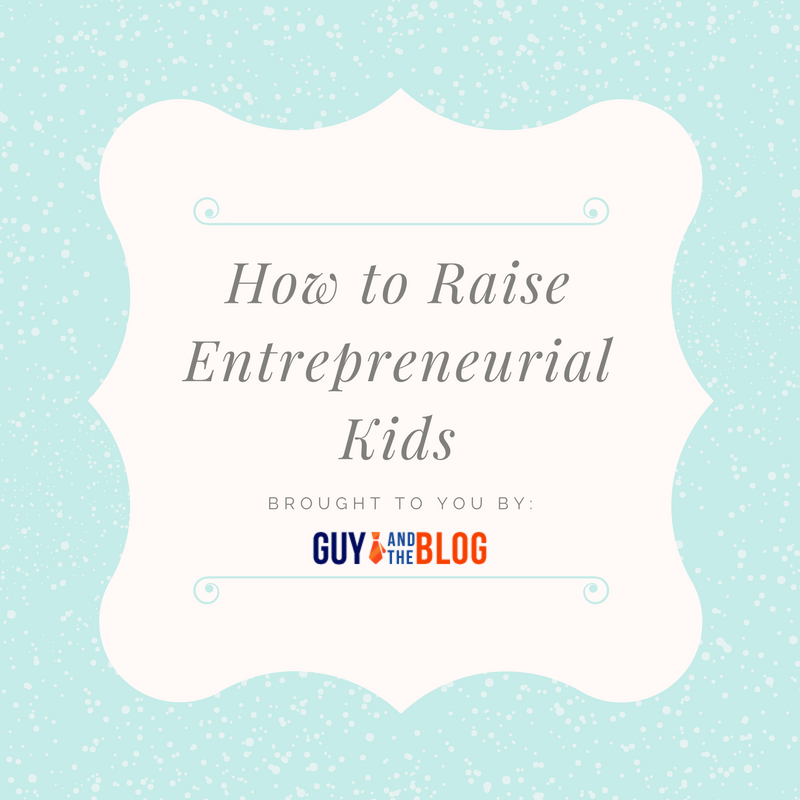 Whatever method you choose to use, you can work to incorporate each of these tips to ensure you are raising entrepreneurial kids. Most work at home parents are already setting the path to raising these type of kids naturally, for the kids are watching their parents work at home and want to be just like them!